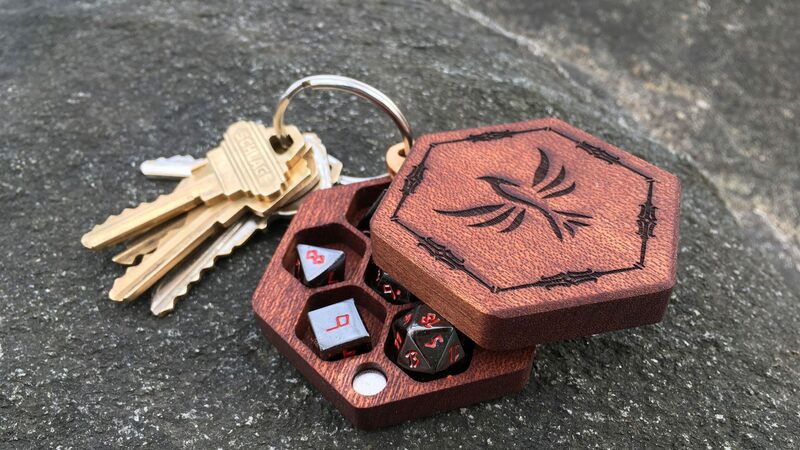 Like their prodigious progenitors, Hex Chest Minis are crafted in a spectacular array of wood options, delicately appointed with engraved art, and finished by hand. They offer a pleasing permutation of personalization, precision, and polish packed into a precious parcel, prepared to portably protect your playthings. Looking for metal mini dice to fit? Preview your Hex Chest Mini!